ANAQUA's unique One-Page Docketing™ brings all the information docketers need into a single screen with configurable panels so each user can set up their workspace just right for the task at hand. Docketed Office Actions and other prep and prosecution steps trigger customizable workflows to assign tasks to the appropriate people. 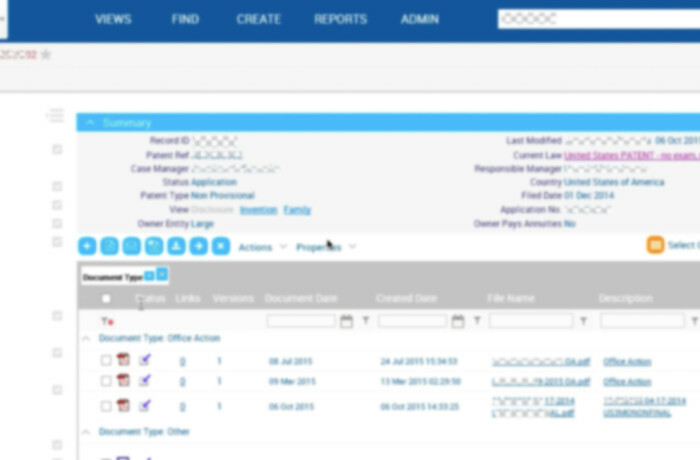 Documents can be attached to any task for one-click access. Each user has their own calendar or list of docket tasks with user selectable layouts and filters. Calendars can be shared and multiple views saved with easy export to Excel or PDF. ANAQUA makes it easy for docketers to move quickly through a set of cases and provides sophisticated bulk update functions. The powerful query and reporting lets you get information easily. Tools and services are available for data import and validation.